Elon Musk's big auto maker Tesla is making headlines almost every day. In the era of climate change, the ability for a specialized company to unroll practical, high-powered electric cars is somewhat of a magic trick. However, one of the big issues with Tesla is how it chooses to distribute its wares around the world. As a dark-horse auto maker, Tesla's business model is different than those of traditional blue-chip firms like Ford and General Motors. One of the differences is regional distribution in places like Algeria and Morocco. Stray postings on the Internet show how customers in these nations face an uphill struggle to actually get a Tesla car where they live. On a Reddit thread, an Algerian resident talks about going to Europe to get a Tesla and bringing it home. Someone in Morocco asks about whether a Tesla store is planned for his country. As of yet, we haven't seen big headlines advertising Tesla's intent to move into this region of the world, although not too far away in places like Dubai, Tesla seems to be moving aggressively. However, modern export processes might help. “In our industry, more and more car manufacturers are considering ocean containers as an alternative method for shipping their cars around the world,” CFR Rinkens CEO Christoph Seitz told Maghreb News Wire on Aug. 30, contrasting new container models with the traditional “roll-on, roll-off” method. “Since our specialty is shipping primarily used cars in containers, the containerization trend in the new car industry is extremely exciting as we have an opportunity to grab some of that giant market share, which translates into big numbers for us." While confirming his company has a contract with Tesla, Seitz declined to speak on Tesla’s distribution markets, stressing instead that in general, new shipping capabilities will increase versatility in a globalized world. “These new shipping models makes it easier to deliver to small niche markets, where traditional ‘Rack on, Rack off’ is not a good option,” Seitz said. 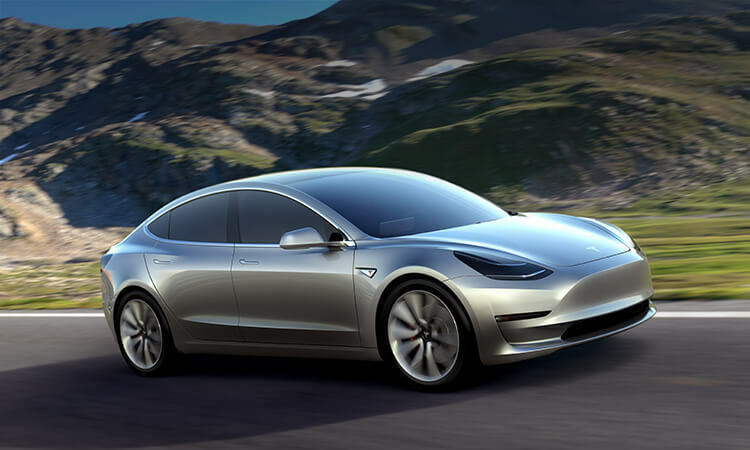 Want to get notified whenever we write about Tesla Motors ? Next time we write about Tesla Motors, we'll email you a link to the story. You may edit your settings or unsubscribe at any time.